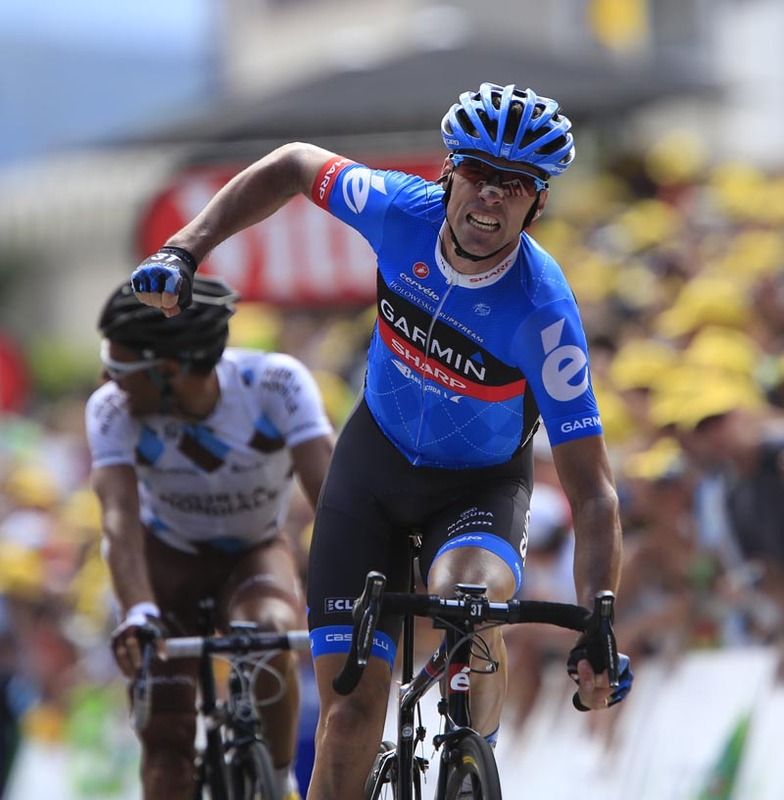 David Millar won the two-up sprint to claim his first individual stage victory at the Tour de France since 2003. The 35-year-old was the best of a five-man break at the end of the 226km 12th stage with Jean-Christophe Peraud (AG2R La Mondiale) second and Egoi Martinez De Esteban (Euskaltel – Euskadi) five seconds off the pace in third. Millar is the fourth British rider to claim a stage win at this year’s race and his victory coincides with the 45th anniversary of Briton Tom Simpson’s death in the race. 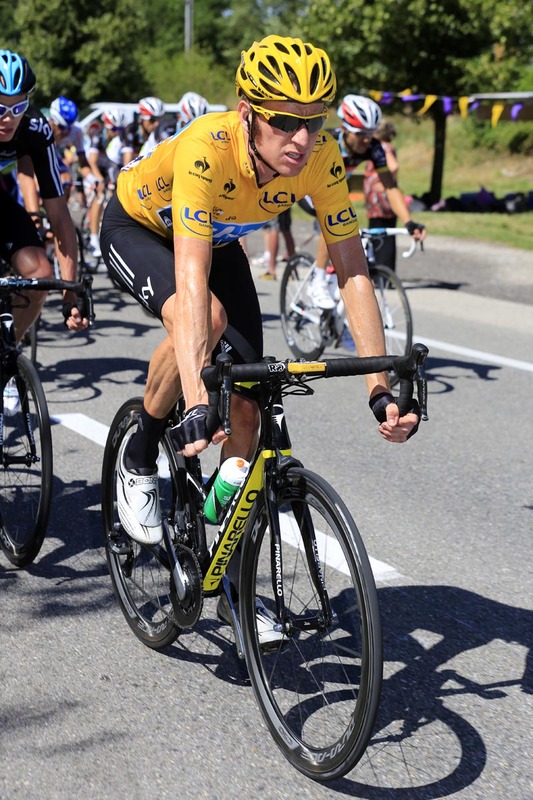 There were no changes to the general classification, which Sky’s Bradley Wiggins leads ahead of teammate Chris Froome and Italian Vincenzo Nibali (Liquigas-Cannondale). Millar was part of an original 19-strong breakaway that escaped within the first 20km of the undulating 226km run from Saint-Jean-de-Maurienne to Annonay Davezieux. The front group had whittled down to the race definitive five, which included Cyril Gautier (Europcar) and Robert Kiserlovski (Astana), by the second category one climb of the stage – the Col du Granier. A series of counter-attacks saw riders lose contact with the peloton. Green jersey leader Peter Sagan (Liquigas-Cannondale) was among those who tried to bridge the gap to the leaders, but his efforts were in vain. Orica-GreenEdge rode to the front and reeled the 22-year-old and his companions in with the interests of its maillot vert contender, Matt Goss in mind. The peloton shortly after allowed the time gap to the race leaders to blow out with some 117km remaining. The grupetto that included world champion Mark Cavendish, eventually made contact in what, after an aggressive start, essentially became a transition stage for the yellow jersey group. The escapees achieved a maximum time advantage of 12 minutes and 50 seconds. In the points competition, Goss won the bunch sprint at the intermediate check, ahead of Andre Greipel (Lotto-Belisol), further closing the gap to Sagan. The 25-year-old Australian beat his Slovak rival at the finish winning the bunch sprint for sixth but was later relegated to seventh and docked 30 points for deviating from his line.